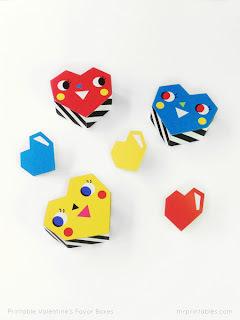 Mr Printables has geometric heart printable party favors, that are cheerful, cartoon-like boxes in 9 funky designs you could put something little in for your special Valentine. 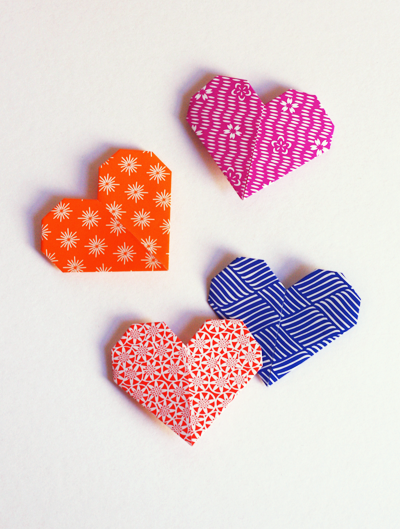 Heart Shaped Origami Book-mark over at How About Orange is just so cute. 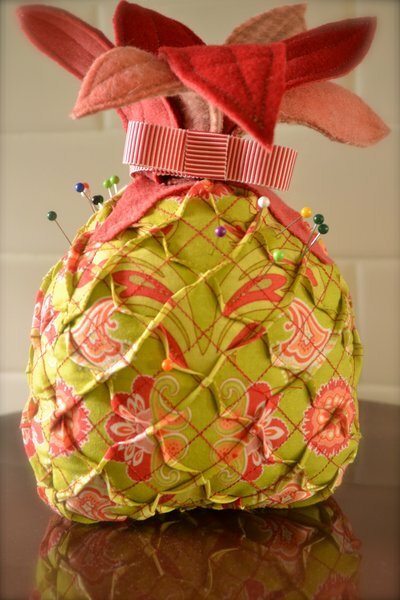 How cute is this Prickly Pineapple Pin Cushion!! Find it over at Riley Blakes. 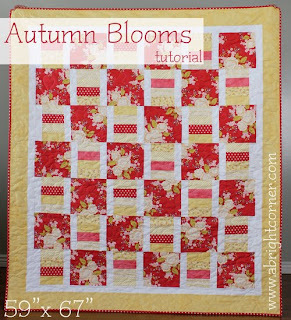 Autumn Blooms Quilt over at Riley Blake looks nice and easy to whip up. What a WONDERFUL idea - having a Happy Jar!! Andrea says "The Happy Jar is a place where we can collect happy thoughts — maybe a little thing that brightened someone’s day or a major accomplishment or milestone or something that one of us is looking forward to. 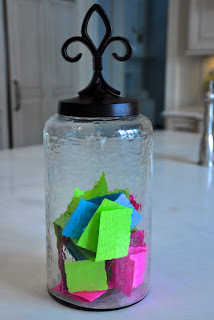 As the jar fills up, it’s fun to pull out random slips and read happy thoughts. The coolest part is that the Happy Jar inspires smiles on both ends — when you write a slip to drop in and when you take out a slip to read. So sweet." 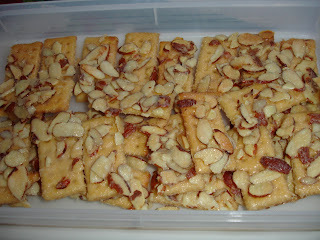 Alderwood Quilts: Almond Toffee Cracker Cookies: Sue says It doesn't get any easier. 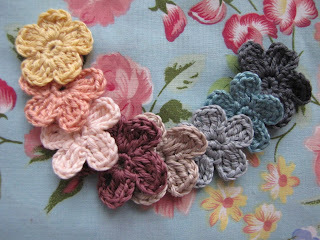 ..she says they're super simple and they're really good! 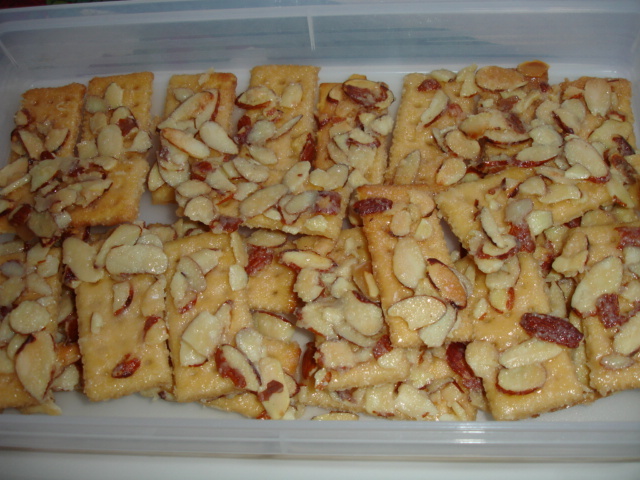 ...OMG they do look good!! Use up all sorts of scraps and recycle old clothing to make this rug. Thanks Tawny for sharing. 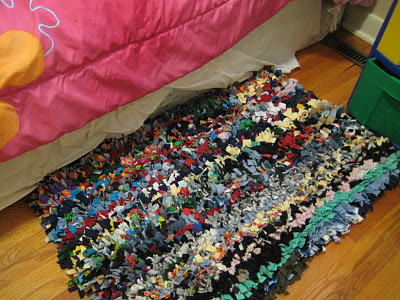 What a great way to use up some stray socks. 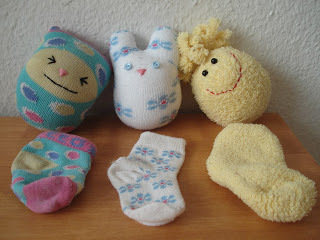 Janice shows how she turns her stray socks into cute dolls. Little Treasures shares how to make crocheted flowers. 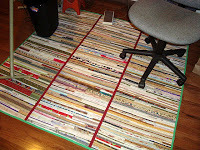 Julie from Quilter Behind the Barn Door shares the way she made her selvedge rug....not that I would want to put it on the floor! 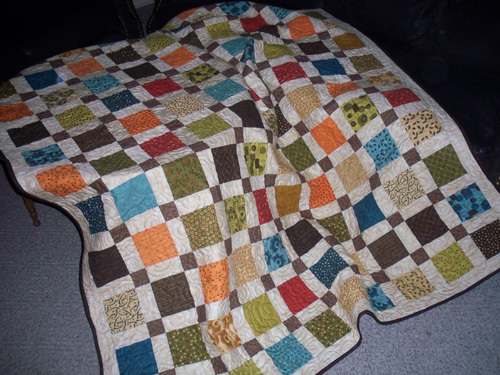 Thanks for sharing Julie. 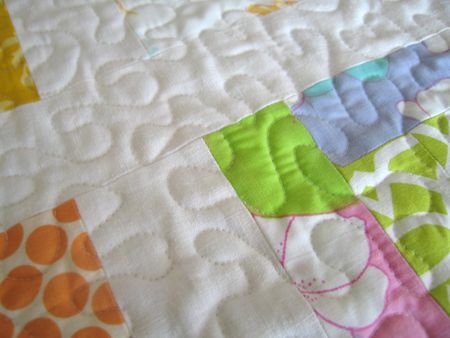 I thought going back to some simple things would be great for the newer quilters out there and the Disappearing Nine Patch is a great way to do it. 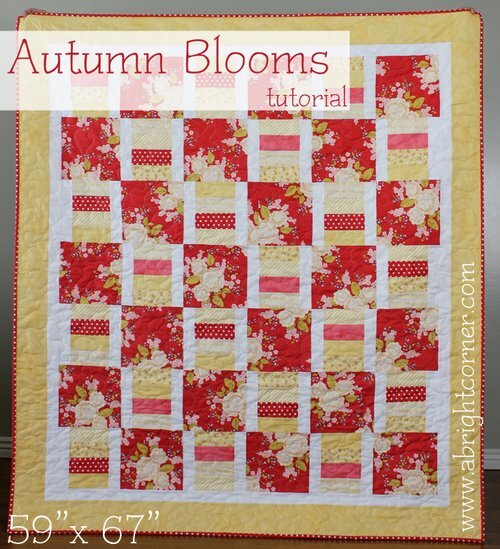 Jo shows her tutorial on how to whip up a nice easy disappearing nine patch quilt. A great way to use up scraps or charm packs. 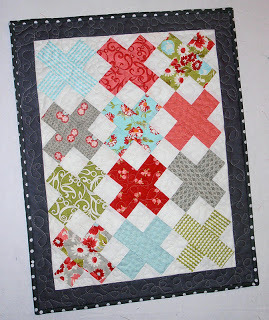 Debbie from A Quilters Table shares how she made her Mini X Quilt. 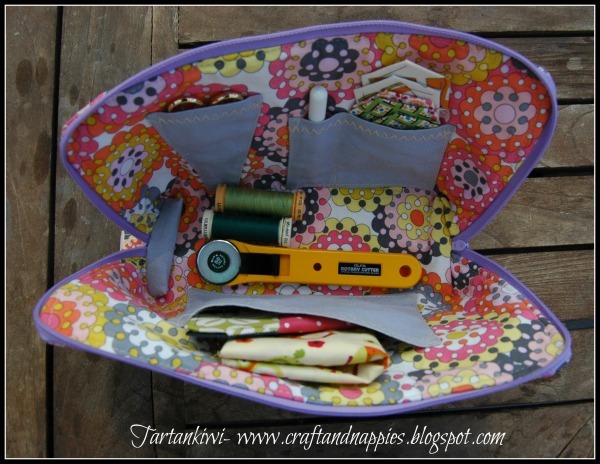 Tartankiwi is sharing her sewing case tutorial. You could make your loved one/ones breakfast this Valentine’s Day, and they will love you forever (or at least until the last muffin is consumed). 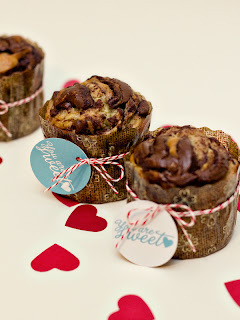 Find these yummy muffins over at Sarah Hearts with her printable tags. Sarah used a recipe from Sweet Peas Kitchen and dressed them up for Valentines.